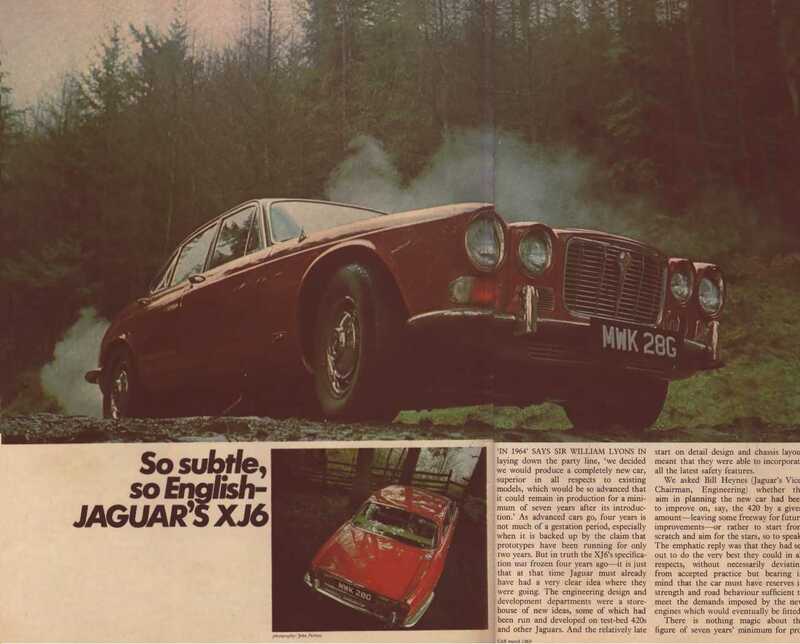 Car Magazine (March, '69) mentions that Sir William Lyons described the birth of the XJ - the last Jaguar to be designed by himself - with the following words: "In 1964 we decided we would produce a completely new car, superior in all respect to the existing models, which would be so advanced that it could remain in production for a minimum of seven years after its introduction". His statement can, in retrospect, hardly be considered overly selfconscious since the XJ range - in its various forms - remained in production for over two decades! The Series 1 is the "original" XJ, the car that today is considered one of the most beautiful saloons to have ever been designed. It has also now been accepted as one of the true "classics" and is rapidly gaining collector status, as witnessed by the Classic Cars' review below. Another attractive feature of the Series 1 is that they have one of the most powerful engine range of all - the power and torque of the Series 1 straight six 4.2 litre and the V-12 5.3 litre were only matched by the Series 3 versions. In addition, whereas the later series suffered from poor build quality, that of the Series 1 was still very good. If you are interested in the more recent models of the XJ cars, see the Series 2 and Series 3 pages at this site. The Series 1 range of cars got very wide press coverage - primarily because it was a car the like of which had not previously been available, and especially not at this price! Below are some excerpts from articles that covered these cars - if you want to see more, click here (you will also find a fairly complete list of articles and the magazines in which they appeared). "The roadholding, wet or dry, is astonishing, and places great demands on your reserves of courage if you set out to find the limit. At times you would swear the car would fall over rather than break away (in fact it won't)." "There is absolutely no car on the market today that can approach it in any field at anywhere near the price, and certainly at the same price there are none that can offer so much automobile for the money." A list of color codes for the Series 1 cars can be found in Nigel Thorley's book (see references below). This site should also get a comprehensive listing soon. For color schemes, a good place to look is Aldridge Trimming's website, where a complete listing for the relevant years is given. This section is still under work. It will include factory modifications history, as well as modifications provided by owner's of these cars. 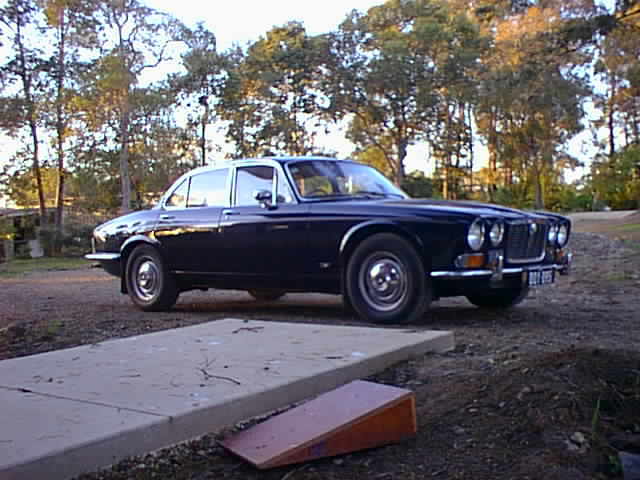 This is Kon Kakanis' Australian version of a '71 Series 1 XJ 6. Note that as opposed to the US version, the Australian (as well as the Swedish shown below) version has the nice 7'' outer headlights - true to the original British specification. The US version had both the outer and inner headlight of the same size, 5 3/4'', due to local rules at the time. The US version also has side markers lights (yellow up front, red in the back) which most other countries did not require. A nice interior photo of the above car shows the wooden dash (although it was veneered, the dash itself was plywood) and the nice (but completely unergonomic!) placement of the various meters and the rocker switch panel. The air outlets below the rocker switch panel is a non-original (although time correct) modification for an airconditioner. In its original configuration this car has an empty slot here for holding miscellaneous things. 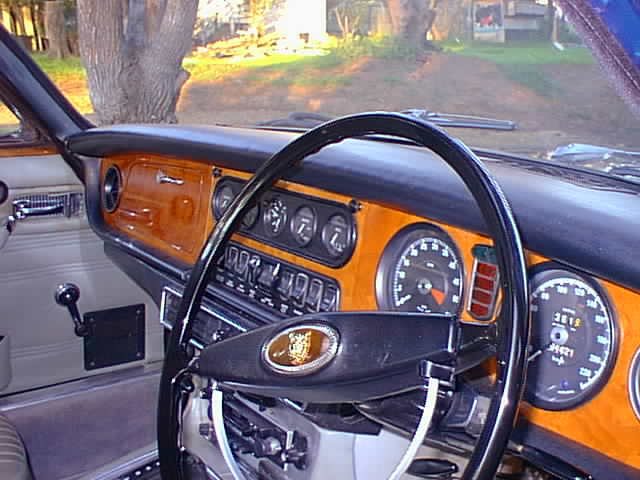 The Series 1 only has air outlets at both ends of the dash, and then on top of it. Here is another nice example of the Series 1, this time it is from Sweden. 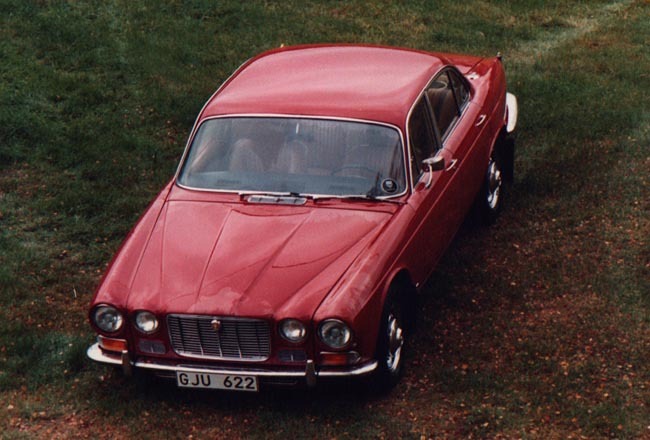 The picture shows Gunnar Forsgren's nice '72 XJ6. Gunnar also has his own webpage, where more pictures can be found. For working on the carburetters the following Haynes texts can be useful: Stromberg CD Carburettors (to 1976) - Owner's Workshop Manual by Don Peers (Haynes Publications, 1976, ISBN 0 85696 300 3). This manual has more recently been published as a part of the Haynes Weber Carburetor Manual (Techbook 10240; covers Weber, Zenith-Stromberg and SU carburetters). Last updated on 03/08/00 by Henry Fok. Send your comments to: spectre@jag-lovers.org. Special thanks for supplying photo/text material to Matthew Waite, Gunnar Forsgren, Kon Kakanis, Gene Halaburt and Phil Driscoll.